« How Can I Prevent Erb’s Palsy? 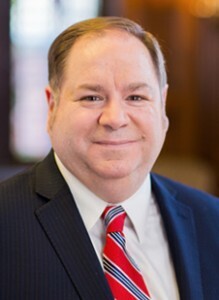 Anapol Schwartz attorney Stephen Pokiniewski obtained a $4 million verdict for a 29-year-old mother and her baby who suffered severe and permanent injuries when their obstetrician negligently delivered the large newborn after a prolonged labor involving shoulder dystocia. The young mother underwent a vaginal delivery of her daughter despite her voicing concerns that a sonogram predicted a 10-pound macrosomic fetus four days before delivery. The resulting delivery nearly killed the infant and left the mother with a damaging vaginal tear. The newborn wasn’t breathing or moving and required immediate lifesaving resuscitation and emergency head cooling treatment. The case was tried in Allentown, Pennsylvania and asserted the doctor did not offer to perform a Caesarian section at any time during labor. He disregarded clear warning signs of shoulder dystocia, a condition in which the baby’s shoulder gets trapped behind the mother’s pubic bone. The child still has weakness on her left side as well as cognitive and expressive speech delays. She is currently undergoing occupational, physical and speech therapies and is enrolled in a special education program. Her mother suffers from incontinence and other injuries as a result of the laceration during delivery. A unanimous verdict was reached five days after the trial began. The mother and daughter may never fully recover from their injuries, but Pokiniewski was able to obtain some justice for the family. Is Shoulder Dystocia a Medical Emergency?